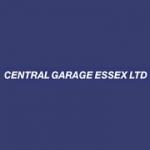 Central Garage has been established since April 2008, and has already provided an outstanding level of service to the Herts & Essex area, when servicing vehicles of all makes and models. Centrals team Jon and David are BMW dealer trained Master Technicians with 30 years of experience. Central Garage is based in Newport Essex and in easy reach of Bishops Stortford, Stansted Mountfitchet, Saffron Walden and most of West Essex.